Indigenous Studies are, by their very nature, worldwide in scope and interdisciplinary in character. Libraries and Cultural Resources have a wide variety of materials to support research and teaching in this area - books, journal articles, video, microforms, art, and artifacts. You will find resources that focus not only on Canadian Indigenous resources but resources for study of Indigenous peoples around the world. For additional help, contact your Indigenous Studies Librarian. The immensely useful Indigenous Law Portal brings together free primary source law documents from the Law Library of Congress and from nearly 340 tribes in Indian country. Indian law, which is multifaceted and complex, encompasses federal law, state law, and tribal self-governance documents created and maintained by each recognized tribe.Another feature is a link to General Resources for Indigenous Law, organized alphabetically by topic (e.g., Environmental Law, NGOs). Indigenous Law Portal: Mexico: Covers all Mexico from the Law Library of Congress. The Indigenous Studies Portal (iPortal) connects faculty, students, researchers and members of the community with electronic resources: books, articles, theses, documents, photographs, archival resources, maps, etc. The vision of the Indigenous Studies Portal is to provide one place to look to find resources for Indigenous studies. This is a major undertaking and we have only just begun.The Indigenous Studies Portal is an initiative of the University of Saskatchewan Library. First Nations portal connects anyone interested in First Nations issues to a multitude of reliable and regularly updated web resources, digitized photographs and artifacts, aboriginal health information, historical and scientific information, reference and community resources. 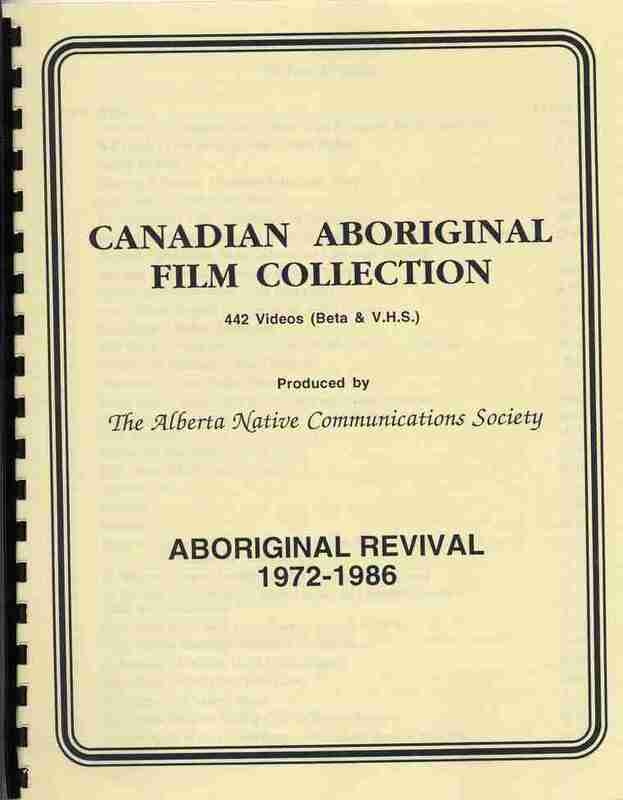 This nationally-significant film collection documents a part of Canadian history and national life, especially as it pertains to the production of fiction and documentary films and television programs on the history and development of the First Nations. The date range of the collection is 1946 to 1988, with most titles falling between 1973 and 1985. Thanks to a grant from the Alberta Foundation for the Arts, selected titles have been converted to DVD.